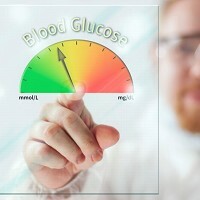 More patients need to be given education and support to manage diabetes, experts say. Diabetes UK claims less than a quarter (22.4%) of the one million people diagnosed with Type 2 diabetes over the last four years, think they have the condition under control. It says only one in seven (14%) are offered education and support soon after their diagnosis, despite the National Institute for Health and Care Excellence (NICE) recommending that it should be given to everyone as soon as possible. The charity warns that people who don't successfully bring their blood glucose, blood pressure and cholesterol down to recommended levels risk developing complications as severe as amputation and kidney failure. It is now calling on the NHS and the Government to do more to make sure patients, who can cover themselves while on holiday by taking out pre-existing medical conditions travel insurance, get the support they need to manage their condition as soon as possible after diagnosis. The charity says that unless brought under control from the beginning, the body adapts to high glucose levels, making it progressively more difficult to regulate. Barbara Young, chief executive at Diabetes UK, says there is an increasing amount of evidence that controlling Type 2 diabetes as quickly as possible is of paramount importance. She says the fact that little more than a fifth of those diagnosed over the last four years think they have their condition under control is a major cause for concern. Hundreds of thousands of people are at greater risk of developing devastating health complications which can be prevented by correct management of the condition, she adds. She also says many people freshly diagnosed with Type 2 diabetes are getting off to a bad start in terms of managing their condition and maintaining a healthy diet due to the lack of education they receive. Type 2 diabetes is linked with lifestyle factors such as obesity.